Heel Candy Wraps is a DIY application to cover up unsightly scuffs on the heel of your favorite high heel shoes with solids colors or fun designs. Each package contains 4 wraps – Enough to wrap 2 pair of heels. Choose between Curved, Angled or Straight then shop multiple colors and styles. Watch step-by-step instruction video on how to apply your new Heel Candy Wraps and read Tips-n-Tricks. 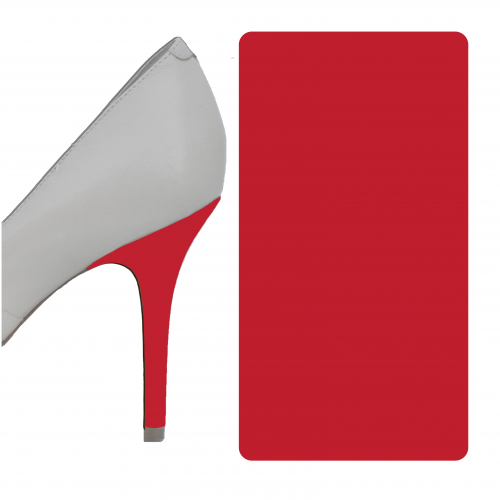 Apply #HeelCandyWraps to your social media images and we will showcase them on our website! Choose between “Curved”, “Angled” or “Straight” then shop multiple colors and styles. Watch step-by-step instruction video on how to apply your new Heel Candy Wraps and read “Tips-n-Tricks”. I love my Wraps! I’ve been looking for something like this for years. I’m so happy with how easy it is to fix my heels! 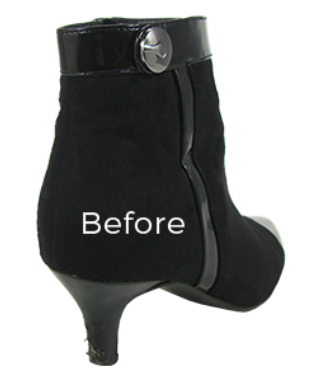 Not only can I fix my heels and make them look awesome again, I can change the appearance completely with a simple wrap. I used the Black and Blue Floral wrap to match my dress – tons of compliments. These are fantastic. My heels were looking very worn – now they look like new again. I can’t believe how easy it was to apply. And, I’m super happy Heel Candy Wraps saved my favorite pair of heels! I chipped one of my favorite heels and was about to trash the pair when I heard about Heel Candy Wraps. It took only ten minutes to apply the Wraps and now these shoes turn more heads than ever. Fun & easy way to repair my scuffed heels. 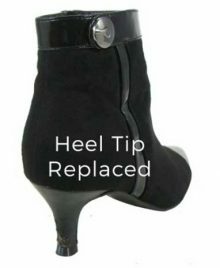 Heel Candy Wraps allowed me to switch up my look in minutes with the variety of patterns and it was also great to be able to repair my everyday heels with the solid wraps, they look like I just purchased them. Great way to save money and prolong the life of your shoes. A wardrobe game-changer! I wear high-heels Monday through Friday and, despite my best efforts, the back of my shoes are always the first to show wear and tear. Heel Candy Wraps extend the life of my shoes in minutes. I always have a pair of classic black patent leather pumps in my closet and their wraps match perfectly. The hair-dryer tip made application a breeze! I’m really happy with Heel Candy Wraps. It’s wonderful to be able to repair the shoes that I love and wear a lot. I am very hard on my shoes and I am having a lot of fun being able to change the look of my heels to match my outfit whenever I want. I have heels that I love but my dog loved them too. Heel Candy Wraps restored the heels of my shoes and made them look new again. I took an ordinary pair of red pumps and then turned them into a classy pair of designer looking heels just by adding a black wrap to the heels. With dozens of styles, including solids and patterns, to choose from, it’s a fun and easy way to match your heels to your outfit and create a personal look that is uniquely you. When it comes to a trusty pair of heels, one can bet that they’re eventually going to fall into disrepair and need a little bit of patching up. The most common problem is the unsightly scuff marks on the heel – and sometimes, no amount of DIYs at home is going to scrub those stubborn marks away. That’s where Heel Candy Wraps comes into the picture to fulfill your need for high heel shoe repair supplies. Our supplies come in the form of easy to apply, do it yourself heel wraps. 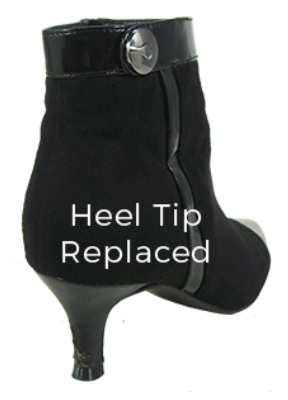 The item is pretty self-explanatory—a wrap to cover up the old damaged heel material. 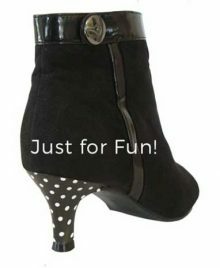 It’s simple to apply, and we offer these classic heel wraps in a variety of fun and quirky patterns and colors. Buy what’s soon to be your favorite solution for ruined heels from Heel Candy Wraps, and feel free to let your creative fashion streak run wild!